When you have been involved in a trucking accident, you may feel scared, confused, and still suffering from immense pain. The insurance company may be pressuring you to settle for less than your case is worth. Don’t try to handle all of these stressors on your own. You need a trucking accident lawyer to help you with your claim and get every penny that you deserve. 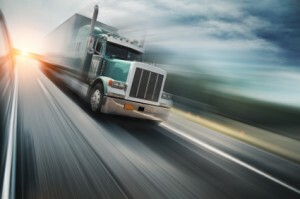 Here are a few ways in which you can choose the right trucking accident attorney for you. One of the best ways to find the right trucking accident lawyer is to talk with your family and friends. Someone may know an attorney who can refer you to a skilled personal injury attorney with particular trucking accident experience. Even when you receive a referral from a friend, it is important that you still check out the lawyer for yourself. There are several sites online dedicated to providing customers with reviews and testimonials from past clients. Look on Avvo, Yelp, and Google Reviews to see what past clients had to say about an attorney’s representation. Also make sure to double check that the attorney is bar certified and their license to practice law is still active. You can do this by visiting your state’s bar website and typing in the attorney’s name. The results will let you know their status and any complaints that have been made against them. One of the best attorneys for truck accidents is Todd Durham. He has helped countless clients recover from their accidents and receive proper compensation to help them move forward in their life. If you have been involved in a trucking accident and are looking for a knowledgeable and aggressive legal advocate, contact Todd Durham at (214) 222-4000. Call today and schedule your free initial consultation.